Live large in this direct gulf access luxury home. Located in the coveted SW Cape, convenient to Cape Harbour where you will find shopping, dining, & entertainment. 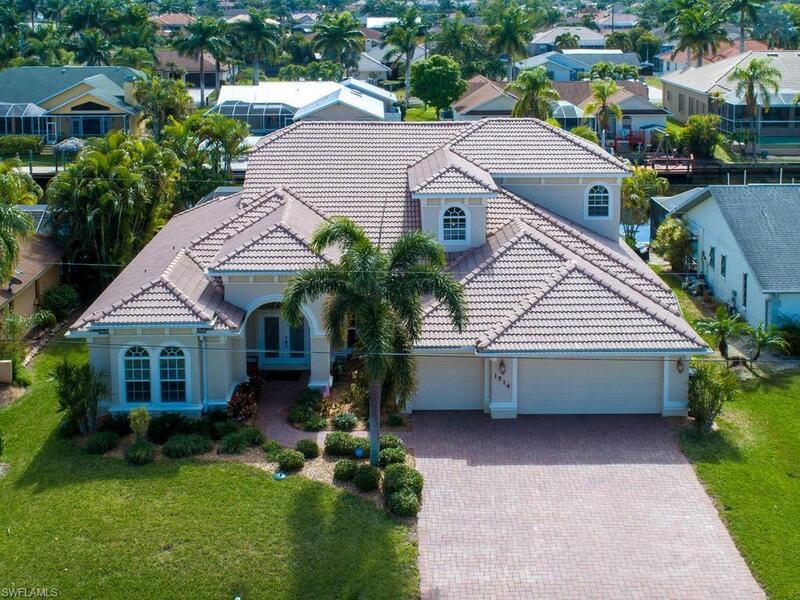 This spacious pool home features over 3, 700 sqft of air-conditioned living space & provides plenty of room to host friends & family with 4-bedrooms + den, 3.5-bathrooms, & a HUGE bonus room! The gourmet kitchen features 42â raised panel cabinets, granite counter tops, tile back-splash, large breakfast bar, stainless-steel appliances, & a dry bar. Outside you will find the beautiful heated pool & spa with pebble tech coating, a newly pavered lanai, & an outdoor kitchen with Viking grill. Bring your boat & enjoy the deep-water canal with direct gulf access & NO bridges. This home has a 7, 500 lb. boat lift & composite boat dock. Additional special features include: a music system, generator, self-cleaning pool, lifetime pebble tech pool coating warranty, electric hurricane shutters on most windows, programmed landscape lighting, some impact windows, built-in closet in master, custom window treatments, newly re-screened lanai, extra storage, central vacuum, screened upstairs balcony, tile in living areas, & more!